Abraham Path: Can Tourism Alleviate Poverty and Boost Shared Prosperity? – With a grant from the State and Peacebuilding Fund, the World Bank is investing US$2 million in developing the facilities and resources needed to help the path reach its full potential and become a greater source of livelihoods for local communities. 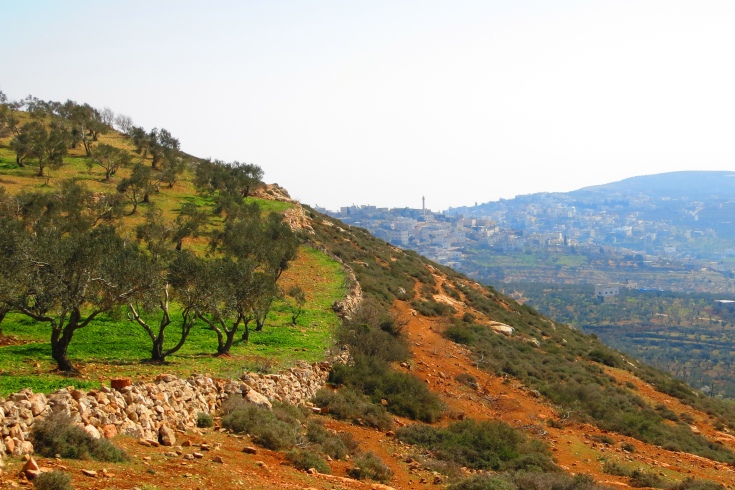 Abraham Path, or Masar Ibrahim in Arabic, is a cross-cultural, long-distance tourism route running along the path once walked by Abraham/Ibrahim, the father of Islam, Christianity and Judaism. More than 400 km long, it currently connects 40 communities across four countries and will eventually cross nearly 5,000 km and ten countries in the Middle East. By building economic, human, social, and cultural capital in rural communities, the path represents an innovative approach to not only tourism, but also economic development and peacebuilding. Along the path, walkers enjoy homestays and homemade meals with local Palestinian families, and local guides show the way while sharing their knowledge of the region’s history and culture. Both put money into the local economy in a significantly more important way than do the existing day trips to Bethlehem, which make up the majority of current tourism in Palestine. 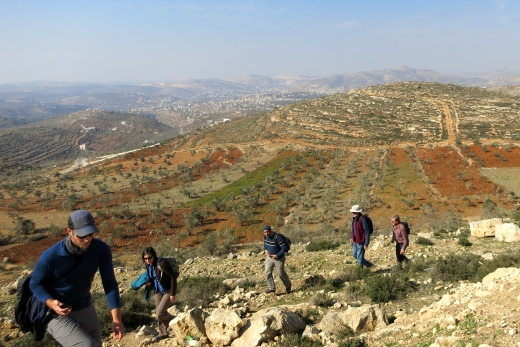 More than 4,000 people have hiked the trail since 2008, most in Palestine and Jordan. The growing popularity of Abraham Path aligns with an increasing trend in global tourism: international adventure travelers seeking meaningful trips to places where few have gone before. They desire authentic and unique experiences that do not entail traditional luxury and comfort. These travelers also seek higher ethical and corporate social responsibility standards and see themselves not so much as package tourists, but as contributors to new ideas, encounters and ways of traveling. Exploring small villages and towns normally ignored by mainstream tourism is becoming part of that meaningful travel they seek. Support for experiential and cultural tourism offerings like Abraham Path is also an innovative way to create jobs in poor, rural communities and reach often excluded groups such as women and youth, in turn reducing poverty and boosting shared prosperity. Women are the key hosts along the Abraham Path, managing and preparing lodging and food while not necessarily having to leave their homes (which is important in traditional, rural Arab households). Local organizations help boost the sale of local women’s handicrafts to walkers who pass through, or stay, in their villages. Youth acquire and hone foreign language skills with walkers and gain an early leg up into their careers – while acting as guides to those passing through. In addition to the economic gains generated from the path, communities benefit from increased social and cultural capital – the respect, understanding, and knowledge gained as a result of welcoming outside visitors into their homes and communities. The longstanding Palestinian tradition of hospitality, based on mutual trust and reciprocity, is integral to Abraham Path and connects local communities to other people and places, near and far. William Ury, founder of the Abraham Path Initiative, shared at a recent World Bank roundtable the words of a Palestinian community member that the path “connects us to the world and brings us hope.” The path helps shift outside perceptions and brings a renewed sense of local cultural identity. To reach its full potential capacity, more investment is needed in the guides, communities, and NGOs who support the path. Thanks to the generous support of the multi-donor State and Peacebuilding Fund (SPF), the World Bank is investing over $2 million in the development of the path itself, training guides, and for homestays, and marketing of the path through a virtual information hub, location-based mapping, and social media. To support the capacity and sustainabilty of the path, the Bank is working in close partnership with local organizations such as Abraham Path Initiative, a non-governmental organization that is working to uncover Abraham’s footsteps from his birthplace and ending at his burial site in Hebron, Palestine. This support is expected to generate jobs and increase incomes for the people and communities located along the path, particularly for women and youth who will benefit from tourism and language training and work readiness programs. In the Middle East and North Africa region, where women still often stay at home, this helps empower them, generates income for their families, and maintains the tradition of hospitality. The future hope is that by continually building Abraham Path and linking in new communities across countries, it can help foster regional economic development and peace building efforts. The Abraham Path Initiative wants to take this to the next level by creating the first long-distance walking trail across the entire Middle East. Many believe the path’s greatest strength is that it links cultures, communities, and generations across history, and is a reminder of our common origins and common humanity. Furthermore, for the World Bank Group, non-traditional and experiential tourism such as Abraham Path holds significant potential for generating income, jobs, and social capital not only across the Middle East, but in other rural, marginalized, and conflict areas. To meet the World Bank Group’s twin goals of reducing poverty and boosting shared prosperity, innovativeapproaches to tackling rural development, youth unemployment and women’s empowerment in excluded communities are much needed. National Geographic just ranked Abraham Path the #1 new walking trail in the world. 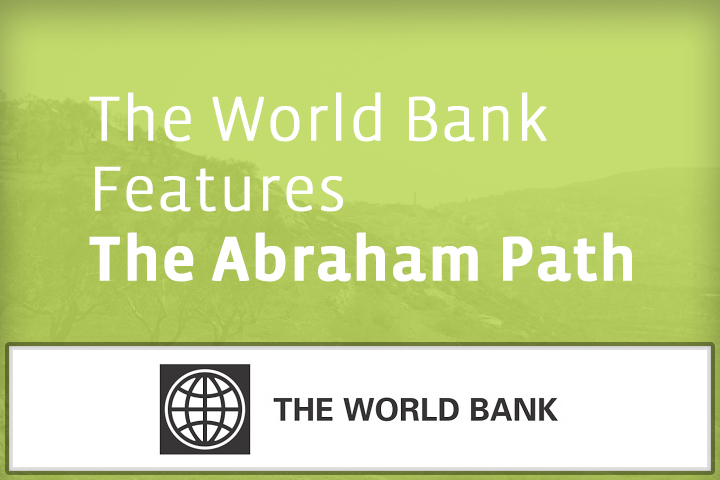 No Replies to "The World Bank Features the Abraham Path"